You’re considering a visit to Laconia and Lake Winnipesaukee. Just close your eyes and imagine yourself on the shores of Winnipesaukee’s picturesque Paugus Bay, surrounded by a landscape of soaring pines and deep blue skies mirrored by pristine waters. Next, imagine strolling over to a welcoming Gazebo Beach Bar and enjoying a scrumptious lunch or dinner with your family and friends. Now open your eyes…to The Margate Resort on Lake Winnipesaukee, the most sought-after destination in the Lakes Region. Come and enjoy all the amenities and pampering expected of a first class lakefront resort and conference facility less than two hours north of Boston. Whether taking a dip in our indoor and outdoor pools, relaxing in our whirlpool and sauna, sunning on our 400 foot private sandy beach, or dining at our Gazebo Beach Bar for lunch or dinner, you are sure to find all the comforts of home and much more. 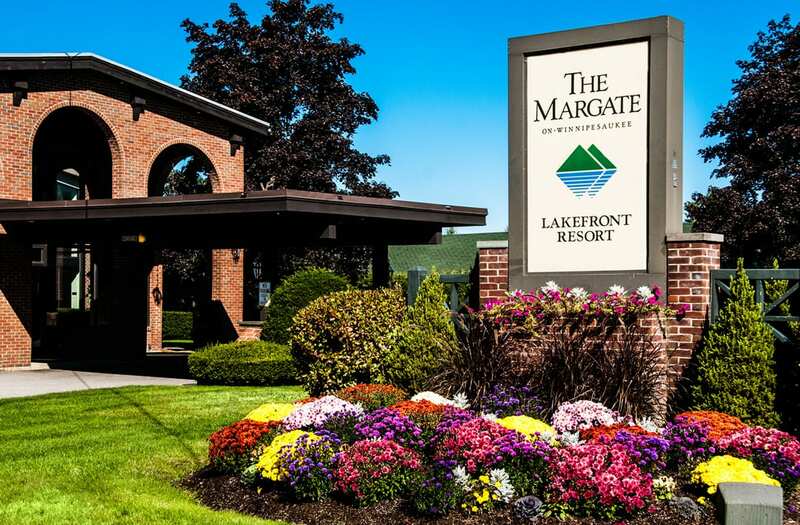 Beautifully decorated and maintained guest rooms, onsite event and dining facilities, and a skilled staff dedicated to making your stay a wonderful experience, make The Margate on Lake Winnipesaukee the place to vacation in the Lakes Region. Come to Laconia, to the water, and you will experience pure New Hampshire!